I don’t know what it is about this Walgreens window ad, but for some reason I don’t really . 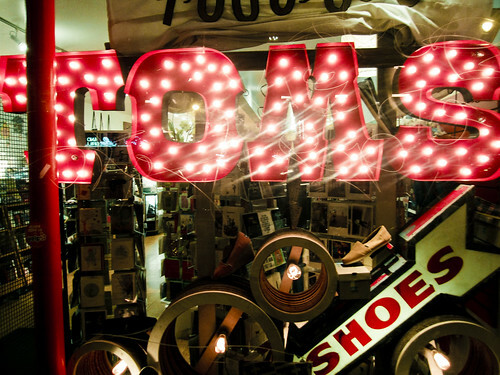 . . want what they . 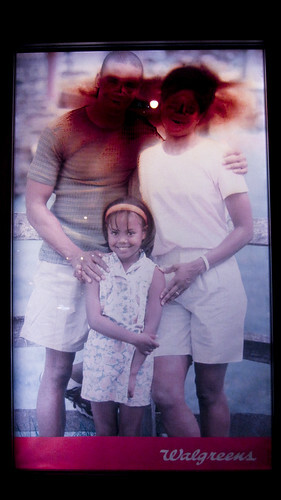 . . oh, it’s because the parents’ faces are melted off. Maybe they’re advertising those sunglasses from They Live. 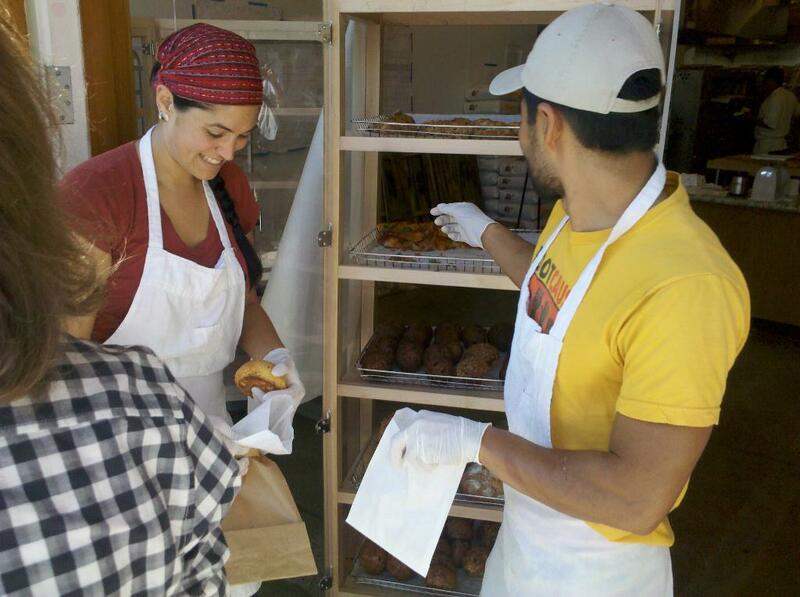 Still haven’t decided what to get for lunch yet and happen to be in the Mission area? 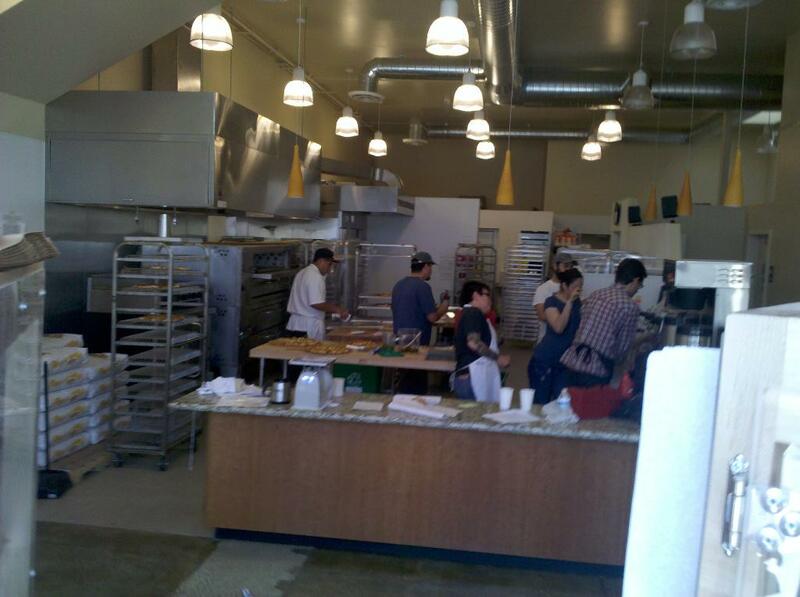 Why not stop by the new Arizmendi Bakery on Valencia by 23rd, where the friendly staff is currently dispersing free samples of their delectable pastries and pizza to anyone who happens to be walking by. Although they’re not really opening until next week or so, the crew was hard at work in the back training to make sure they make it out of the gates as flawlessly as possible. This is a great opportunity to get taste why we’re so lucky to have this awesome Co-op in our neighborhood! 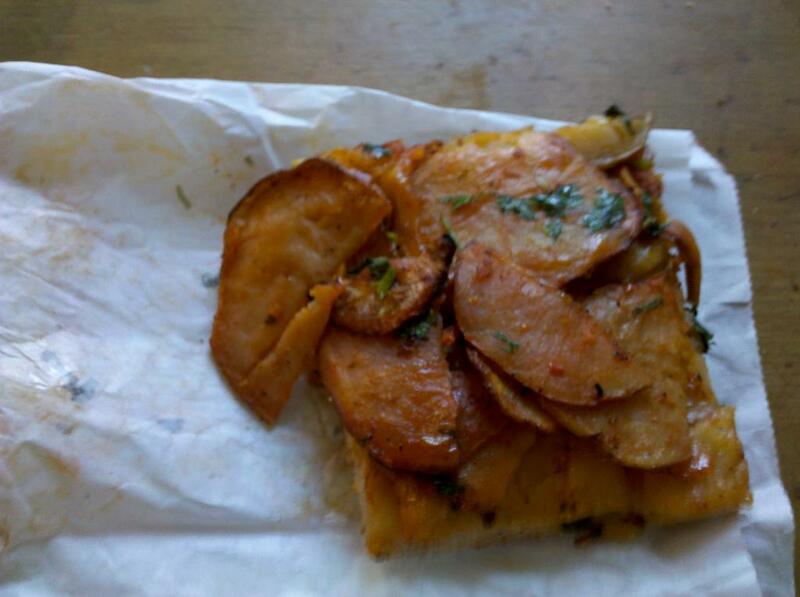 Favoring the savory over sweet this morning, I opted for one of their signature ‘potatoes on pizza’ focaccia and was not disappointed. Give it a shot! 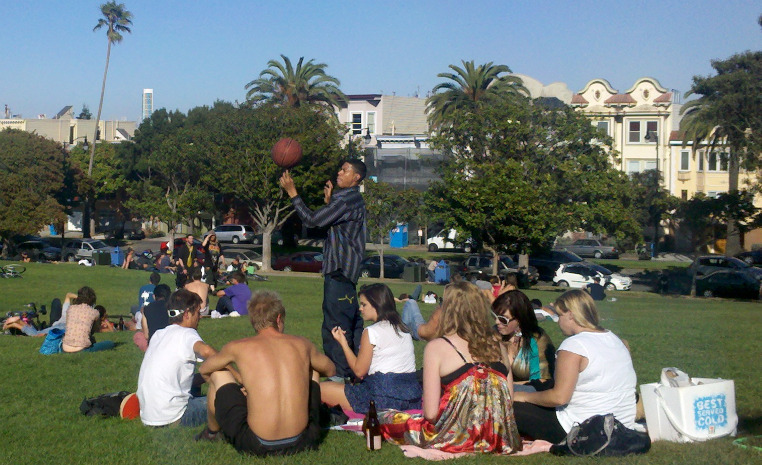 They play every Sunday @ 8:30 pm on the tennis courts at Dolores Park (18th and Dolores). They are done when the lights go off @ 10:15. Join the mailing list by emailing at volleybonksf(at)gmail.com. Feel free to bring friends, dogs, drinks and mix cd’s. Check out the helpful “promo” video that explains the rules and offers a glimpse into the tactical strategy needed to succeed in this blistering nascent sport. I can’t see this going the way of SF Bike Polo (forced to relocate to 21st and Shotwell due to the fact that neighbors complained their bicycle tires scuffed up the tennis courts) unless it can be proven that a giant yellow yoga ball (or Pauly Shore) is somehow also bad for tennis. 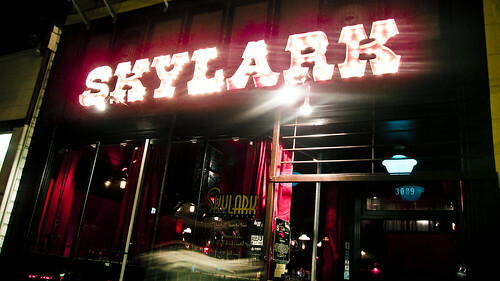 I was just wondering, as I walked around the other night, if the sign at Skylark (fig. A) and the letters hanging in the window at Therapy (fig. B) came from the same source. And so, if they did . . . what might the letters have advertised before they were broken up? Hmm? So talk, Mr. Sky. 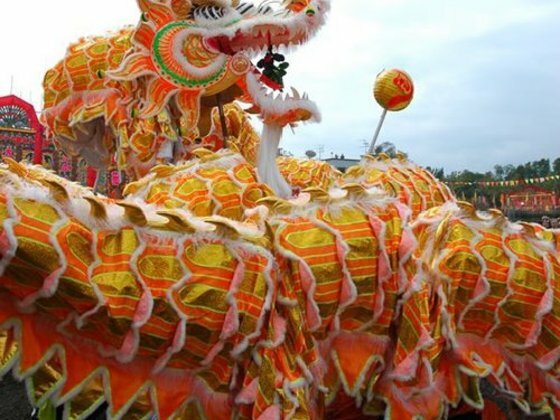 Mission Chinese Food is in the midst of an epic remodel apparently, but they’re short one finishing touch — a bigass Chinese New Year dragon they’re gonna hang from the ceiling as a chandelier. And you can help! Contribute to their Kickstarter fund, so they can “attract more customers and make more money for charity.” I can’t wait! Mission Chinese Food Is Open! I’m listening to the DJ Dirty Needles show on Radio Valencia right now, and it’s pretty good. You might like it too, if you have the same taste in music as me. According to this tweet, there should be some local stuff during the broadcast. Ope, yep, Oh Sees just came on.